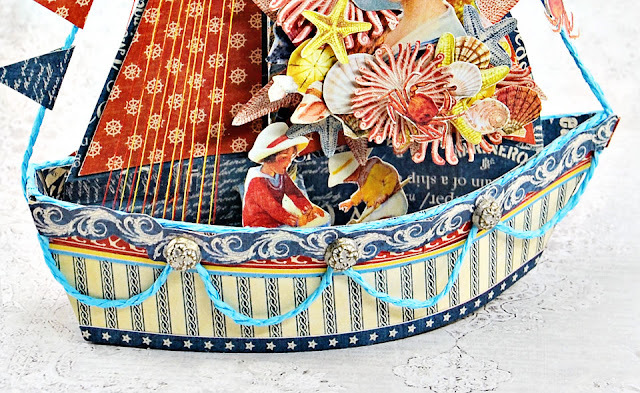 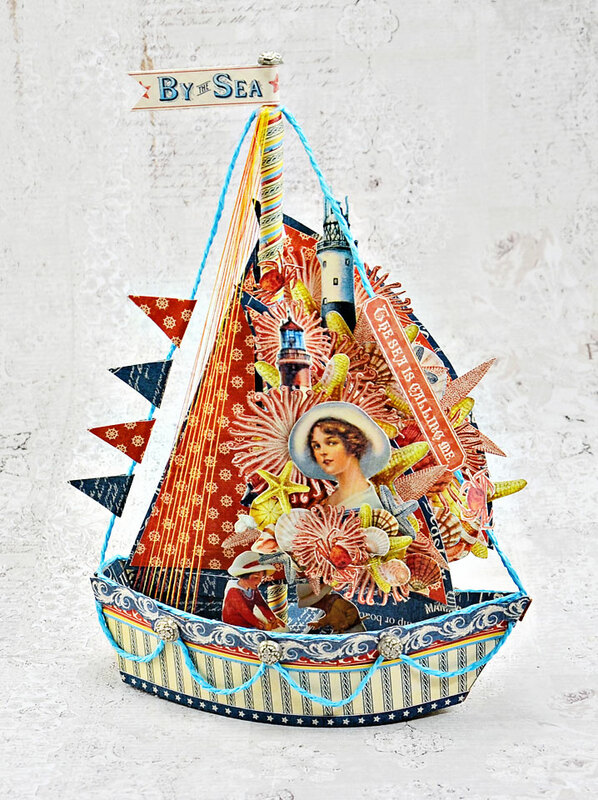 Today I have dropped by to share a sweet little sailboat I created using Graphic 45 By The Sea collection. 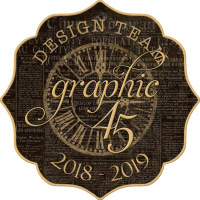 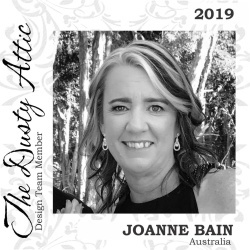 This collection has just been released again by Graphic 45 as a Deluxe Collectors Edition, so if you love a beachy themed collection this one is a must. This little sailboat was created using my own pattern which I think has now been perfected. 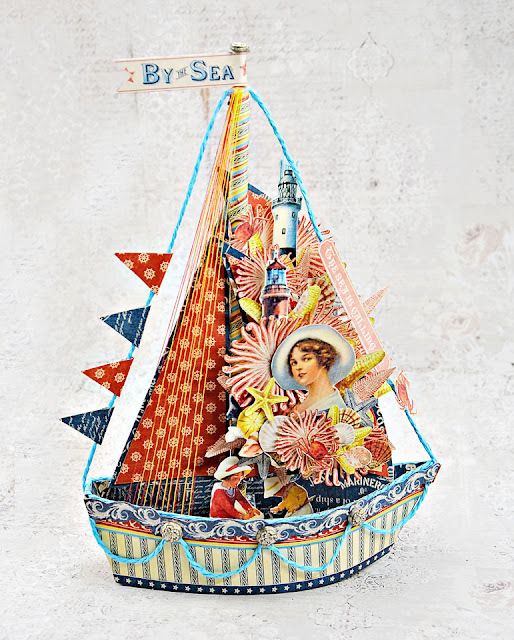 I have used coordinating cotton thread and paper rope to dress my little sailboat. I have added some Shabby Chic G45 Brad Staples for added interest. 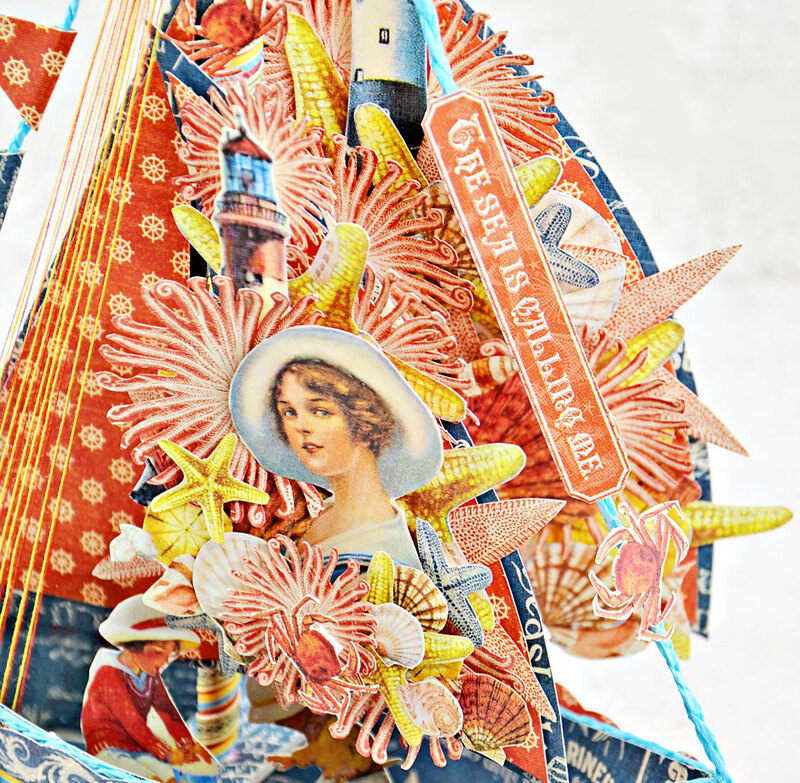 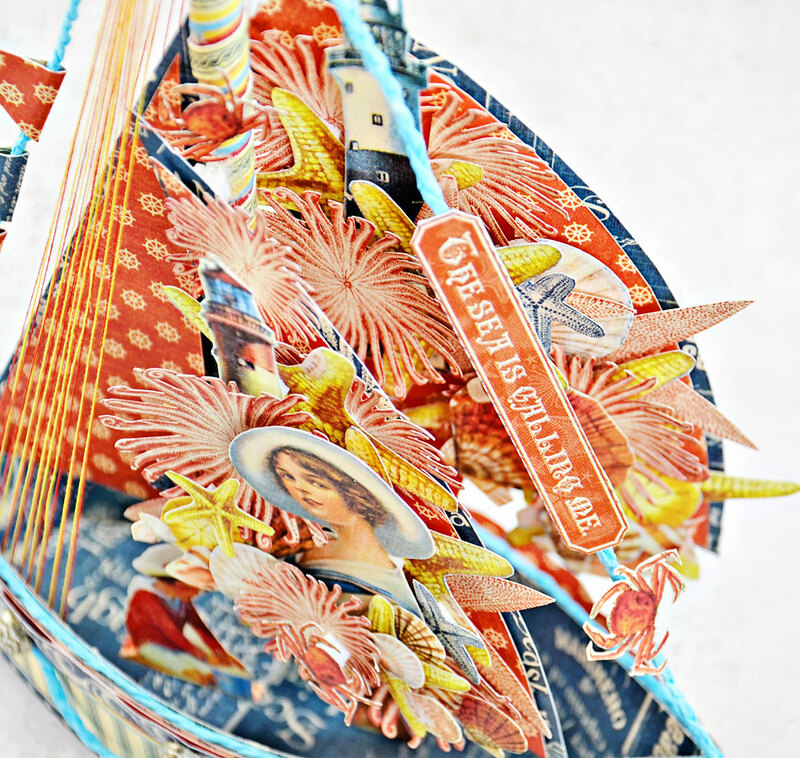 The sails have bee adorned with lots of fussy cut images from the papers which has been layered to create dimension.